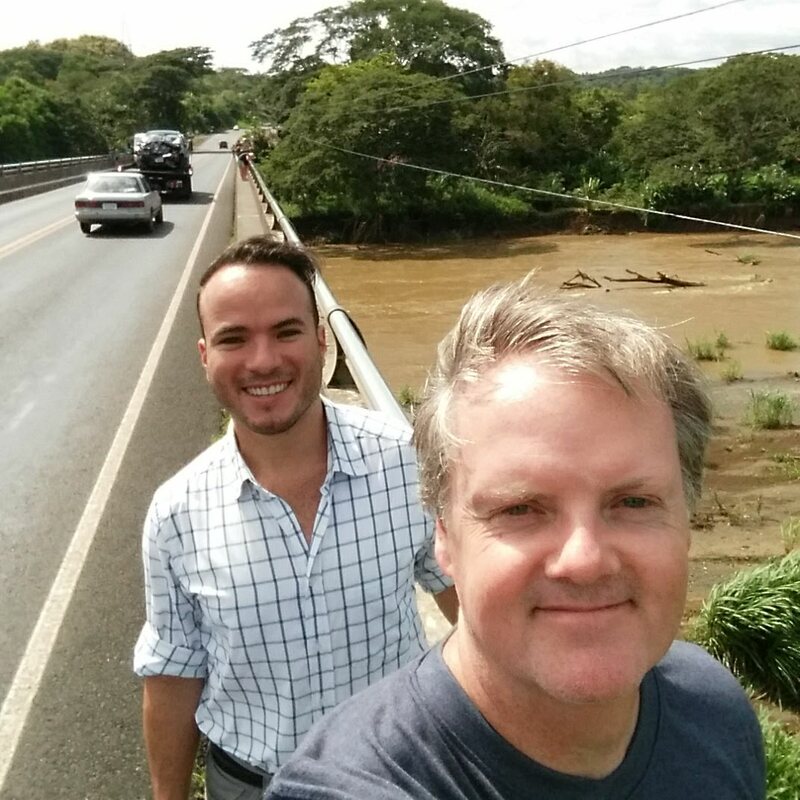 I walked the famous Crocodile Bridge in Costa Rica the other day. I had no idea this bridge and its crocodiles even existed before this. My local coordinator Marco was driving me two hours from Heredia to Jaco Beach to visit volunteering projects and meet some host families. Joining us was Horacio, Marco’s colleague AND (I would learn later) a famous Zumba instructor in Costa Rica! At one point Marco suddenly pulled over and asked if I wanted to walk the bridge in front of us. I said, sure why not. I’ve learned that it’s best to just trust my local coordinators abroad like Marco to lead me down the right path. This is their home, they know the sights, sounds and flavors I should experience (and avoid). (I do read Lonely Planet’s “Dangers & Annoyances” though for common crimes and health issues). So I started to walk toward the bridge with Horacio. We then started onto the bridge. 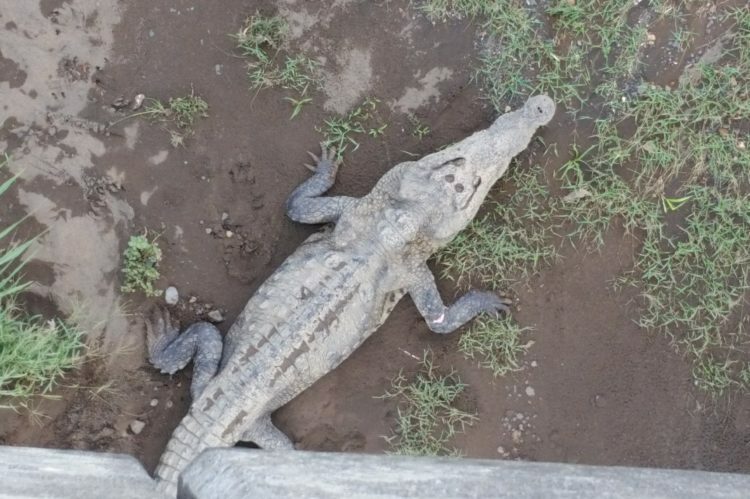 At about the halfway point, I took a look down and — Crocs! I was stunned. 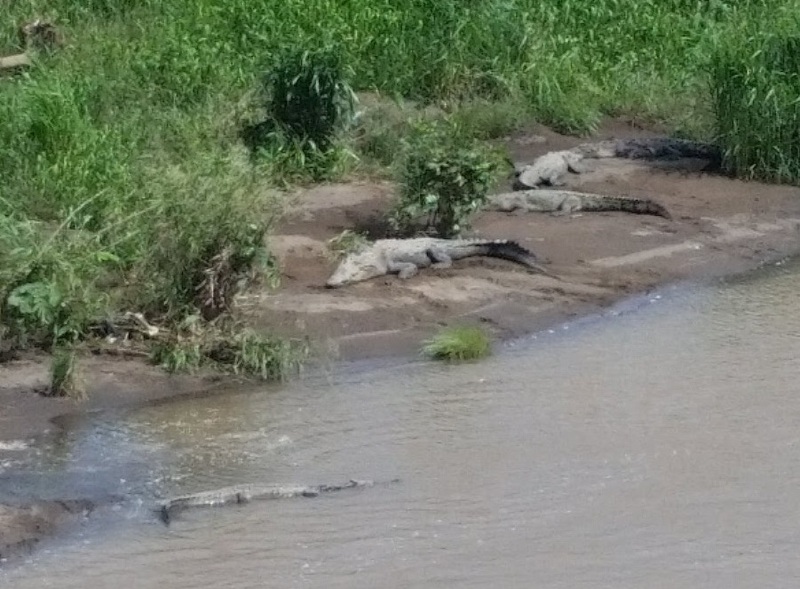 Totally awed, not only by the form and stature of the crocs, but by the fact they were wild! 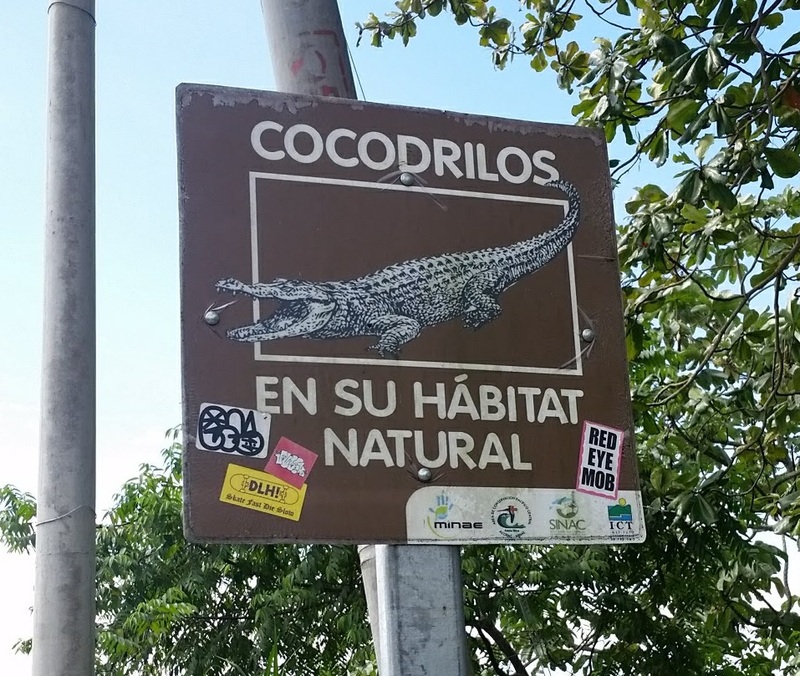 The crocs here live on the Tarcoles River. 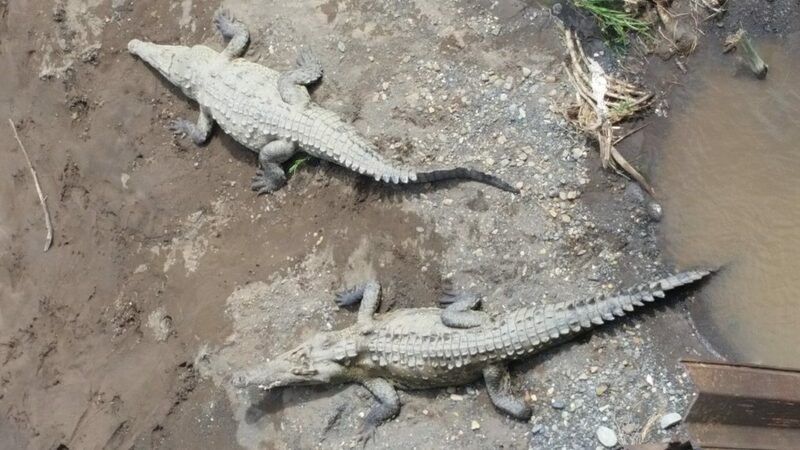 Seeing these crocs in Costa Rica — This is the only way we humans should see wild animals. 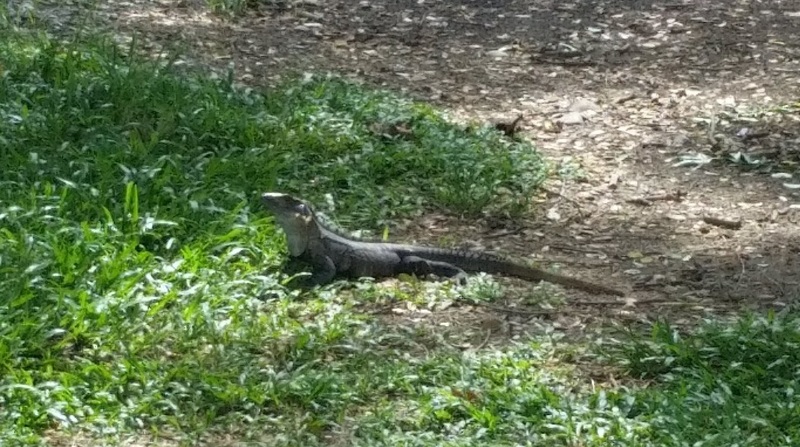 In the wild. Duh. I hate zoos. Close them all down tomorrow. It’s amazing where life can take you. As a kid, I would have never imagined that someday I’d be in another country looking at wild crocs on a bridge with a famous Zumba instructor! My 10-year old self would have said, where the heck’s Costa Rica — and what’s a Zumba?? The sidewalk on the bridge is very narrow and you have to be careful of traffic. Sometimes you may have to even step onto the road to let other pedestrians get by. There doesn’t seem to be any attempt by local authorities to provide safety measures or personnel. There was a lawsuit filed against the local government though to do something about safety. I was thinking, perhaps they could start by making each side of the bridge one-way for pedestrians. There are reports online from tourists of items being stolen from their parked cars. I’ve had crap stolen from my car parked 10 feet from my front door in Philadelphia. So I wouldn’t get too alarmed by this one. 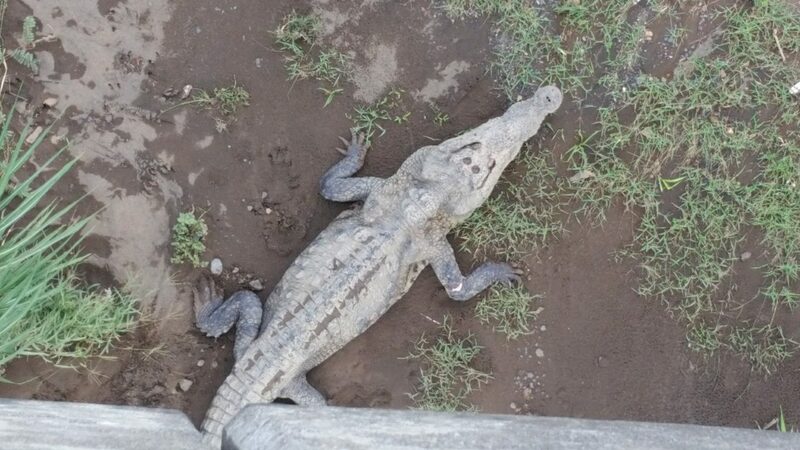 The crocs do occasionally kill humans here at the Crocodile Bridge in Costa Rica. 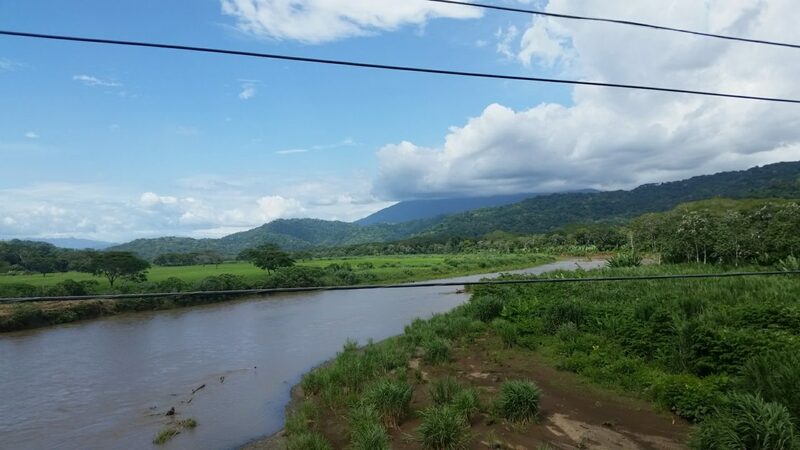 A man from Nicaragua reportedly jumped to his death by suicide. A photographer fell to within inches of being eaten by crocodiles. 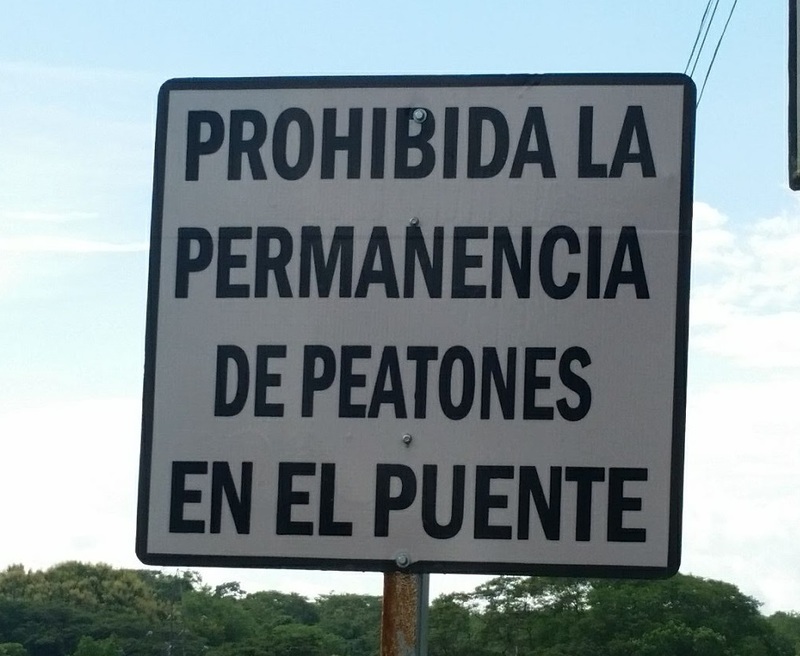 Finally, I’m a bit obsessed with road signs around the world.